- Childproofing can be a daunting, and sometimes frustrating process for new parents. And I have three recommendations, or three different ways that you can childproof your home. All with a sliding scale of affordability. Number one would be DIY, do-it-yourself childproofing. You can go to my website, you can take a look at a checklist, you can read more, you can watch these videos, get yourself educated, and then go to the store, purchase the devices, and install them yourself. Number two would be my recommendation, and that is, call a pro. There are actually people out there, professional childproofers out there, who can help you. They can come to your home, assess the hazards, educate you, then give you a blueprint for everything that needs to be done in your home. Then you take over the reins, you purchase the product, you install the product, saving yourself some money. Option three, would be have a childproofer come, do the home assessment, educate you, install the items, and that's pretty much childproofing from A to Z. And however you choose to do it, whether you do it yourself, or you have someone do it soup to nuts, make sure that you lengthen the life of your childproofing, meaning, if you install a child safety gate, don't open and close it right in front of your child. They're quick studies, they're really smart, they're little MacGuyvers, and they can figure it out. So turn your back to your child when you're engaging and disengaging the child safety devices. 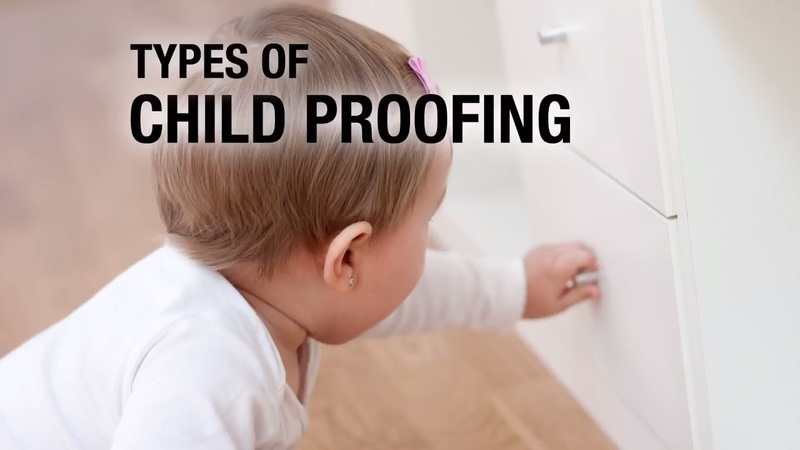 Keep your kid in the dark for as long as possible and lengthen the life of your babyproofing. Lengthen the life of your childproofing investment.